This photograph is the first and only photograph know to include all 3 of the leaders of Mecatecno. Rabasa in the centre is flanked to the left by Ruiz and Mira to the right. This photograph was taken at the rear of Jordi Rabasa's home in Mortelles , Barcelona. In front of them was Rabasa's house.Behind them was the outbuildings where Rabasa started Mecatecno in 1979. This photo was taken around 1980. 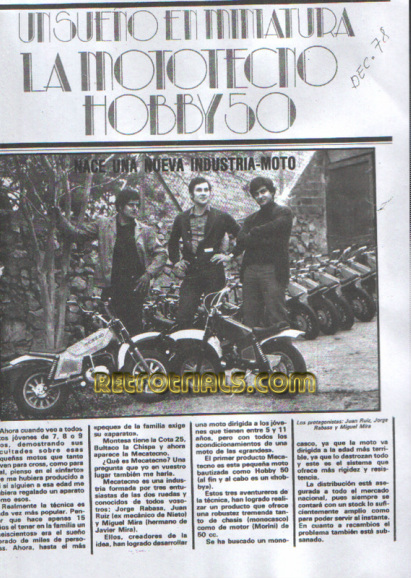 This photo shows the company in production with a line of "Chic" childrens motorcycles behind them. Juan Ruiz didnt join Rabasa and Mira at this workshop officially untill 1982 , however he had been moonlighting for Rabasa since the very start. The company was established primarily to design and manufacture childrens motorcycles as they all knew the demand existed in Spain. At this point in 1979 the World was a very big place and a Worldwide network of dealers hadnt been thought of , let alone established. Mecatecno produced a few different children motorcycles in different styles from this location and demand was good. It was here also that Rabasa and Ruiz created the Trials prototype 180cc motorcycle ridden by Marcelino Corchs. Business was so good that in 1982 Mecatecno moved to their own industrial unit in Els Xops in Barcelona. This consisted of one large work room and one small office. The work room was divided horizontally !!. A steel stage was erected held up on steel legs and tied into the wall. This doubled the work space. Mecatecno expanded the workforce to a total of 13 people. Business was good and Mecatecno produced a relatively large range of motorcycles - please see the above links for these. 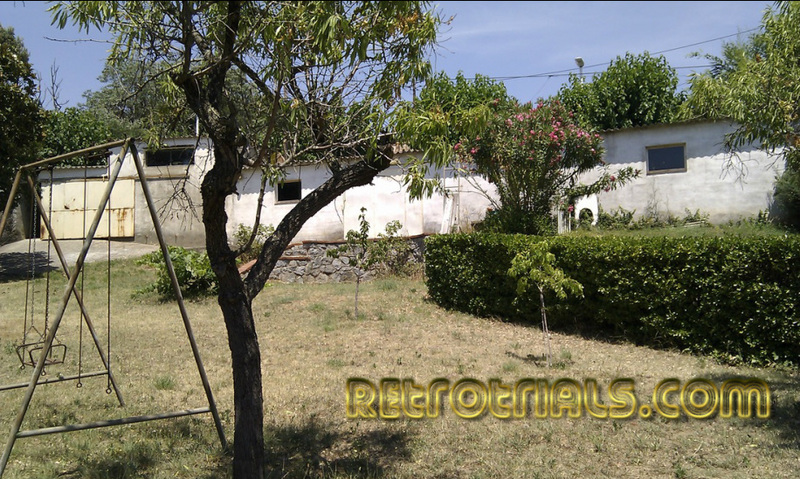 The pictures below are of Jordi Rabassa's rear garden. Looking up hill you can see the long workshop. This is where Mecatecno began. The garden is also where the used to ride and test the bikes. 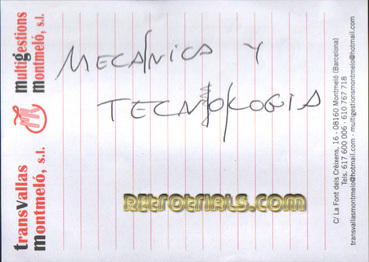 As Juan Ruiz has explained to the right the name Mecatecno is an acronym created by himself.